You can view statistics about Veeam Agent for Linux backups. 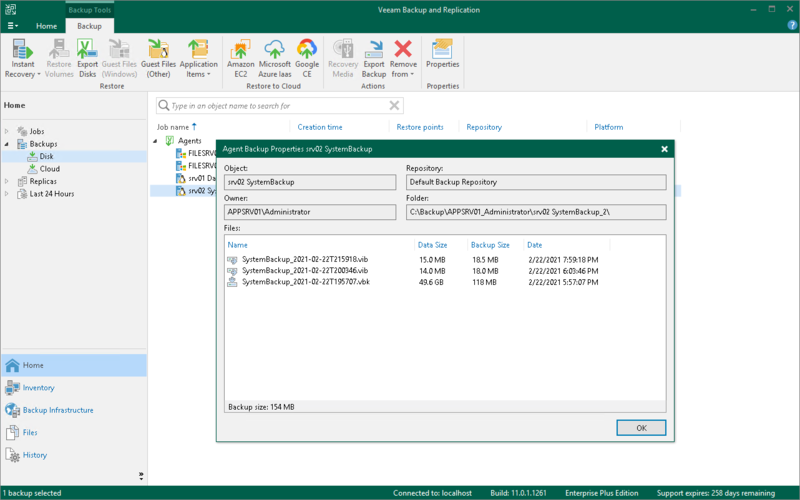 In Veeam Backup & Replication, open the Home view. In the inventory pane, click Disk under the Backups node. In the working area, expand the Agents node, select the necessary backup and click Properties on the toolbar or right-click the backup and select Properties.